The following is an update to the below article. The Fine Dining Lodge will remain named Fillebrook, No.944 and will meet on the 4th Friday in June and September, by dispensation, at Mark Masons Hall. The first meeting will, therefore take place on 23rd June 2017. There are still places available for joining members, be quick, though, as numbers are strictly limited due to dining number restrictions at this level of catering. The cost of membership will be around £200 per annum which covers dining costs as well as accompanying wines (with a one off small joining fee). As members you will be greeted with a champagne and canapés reception during the afternoon, and each course will be enhanced with an appropriate accompanying wine. "This is an exciting and new adventure which takes Essex Mark Masonry in a new direction. I, for one, am proud to be a member of what promises to be an exceptional Lodge with exceptional dining. New members are still welcome although numbers are limited". If anyone is interested, please contact W.Bro. John Stannard, ProvSec, whose contact details are in the Members area or available from your Lodge Secretaries. ​ Earlier this year the Provincial Grand Master announced that he was looking at the feasibility of creating a Fine Dining Lodge and tasked his APGM, Roger Wacey, to research and report back to him. This came about, partly, because Fillebrook Lodge, despite all efforts to the contrary, felt it had to surrender its warrant. Determined to keep the Lodge, a significant amount of work went into the why's, where's, who's and how's. Local, Essex, venues were looked first but none really fitted the part of being able to host a Lodge meeting and provide the required menu quality and choices. The proposal, therefore, is to hold the Lodge at Mark Masons Hall, our iconic headquarters in London's St. James and Pall Mall area. This was felt to have the best combination of meeting facilities, an established fine dining facility and, because of its' location, easy rail access and after event venues. So, a Past Masters Lodge will be formed (this will keep costs down) with a membership of 30 persons (or visiting attendance as vacancies permit) and an approximate 1230 start will allow for luncheon at 1pm. Annual costs are predicted to be in the £200 range to cater for the menu at No.86. Interested brethren are requested to contact the PGM on his email address in the members section. 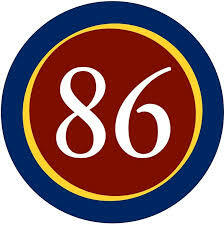 The button below is a link to the No.86 fine dining facilities and menus to give a "flavour" of what is available.